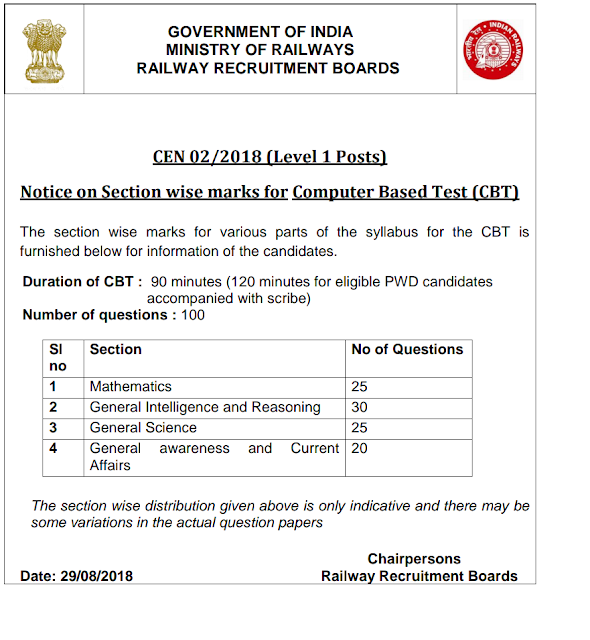 Hello dear, we are here with RRB Railway Group D 2018 New Exam Pattern: रेलवे ग्रुप D 2018 परीक्षा | You can check complete details here. 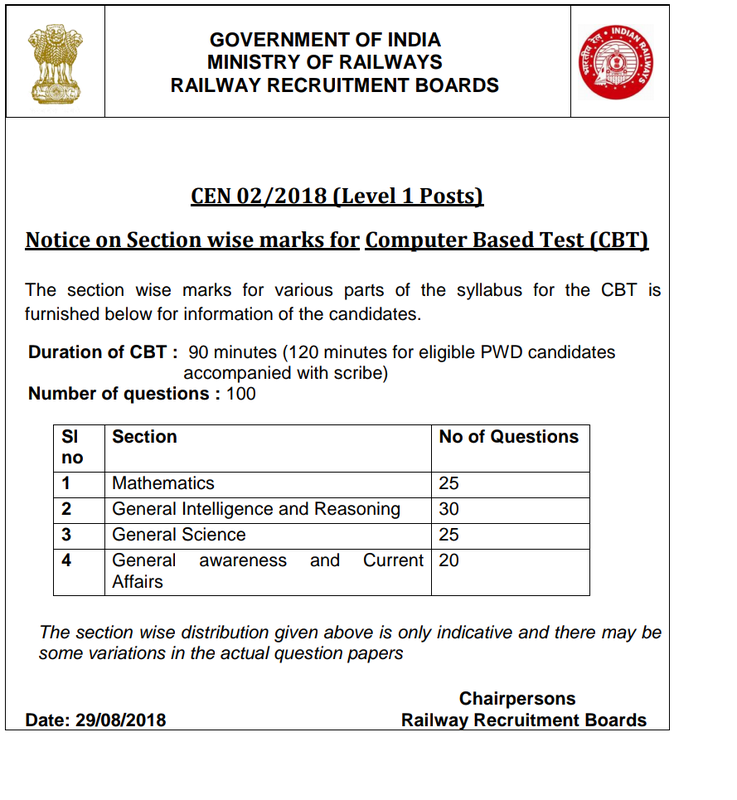 According to official notice, RRB Railway Exam for Grpup D will have 55 questions from Maths & Reasoning topic and 45 questions from General Science, GK & Current Affairs topic. The total time of Computer based test will be 90 minutes. There shall be negative marking for incorrect answers. 1/3rd of the marks allotted for each question shall be deducted for each wrong answer.